My sewer is plugged. Will I have to replace it? These blockages can all be removed with the tools that Duke Sewer uses. What causes a sewer to break? Regina and surrounding area have 4 kinds of sewer pipe, and it is common that a home or business will have 2 or even all 3 types on their sewer system. Homes built after 1976 typically have 100% ABS sewer on the private side of their sewer line. This pipe deforms under pressure over time. In Regina, it is normally 4 inches in diameter. It can and will pinch down from 4 inches to completely pinched and every variation between. At Duke Sewer, we recommend replacing No-Corrode pipe after ½ of the diameter is lost. When a 2 ½ inch sewer cutter will no longer pass through, then replacement is recommended. A sewer will still function when the No-Corrode is significantly pinched, but very frequent cleaning with sewer cutters is required and there is always the risk of flood and sewer backup. Most homes in Regina have 3 or 4 inch cast iron sewers under the basement floor and extending 8-12 feet from the footer. Cast iron does not pinch like no-corrode pipe. It usually breaks in 2 ways: #1Complete deterioration starting with a breakdown of the top of the pipe (it develops holes and large cracks) #2 Complete clean break which causes the sewer to offset (usually happens under the footer of the home). Most of the City or Town side of your sewer line is made of clay tile pipe which is 6 inches in diameter. There are some homes and buildings that have clay tile pipe under the lawn or front of the building. It is normal for roots to penetrate the joints of this type of pipe. Cracks and offsets in Clay Tile pipe on the private side of a sewer line are not common but do happen. Homes built after 1976 usually have and ABS sewer line. Thick wall ABS is approved for underground use and is still what builders use today. There are a few areas of Regina that have ABS sewer (under their basement floor and footer) and No-Corrode sewer (under the lawn). We have seen this in certain developments built between 1972 and 1976. Thick wall ABS is the preferred type of sewer. NOTE: Some excavating companies who are not trained in sewer work have replaced no-corrode with white PVC and thin wall ABS. Neither of these are code-approved types of underground sewer. Are there really certain types of toilet paper that can clog a toilet or even a sewer? My sewer is broken. What are my options? If your sewer is broken under the lawn, we recommend that you have the sewer replaced from the front cleanout inside your home, to the city connection. If only the no-corrode or clay tile is replaced under the lawn, it is still possible to have a break occur under the footing. This will cause you to have to dig up the sewer again. There are 3 types of sewer replacement: Excavation, underground boring, and lining. We do not recommend lining. Duke Sewer currently provides the excavation method only. Call us if you wish to hear who we recommend for directional boring. If excavation is not an option, then we recommend directional boring over re-lining. What does sewer replacement cost? The answer is “depends”. Duke Sewer provides free quotes for sewer replacement. We will come to your home to look at the site and then provide you with a written quote. Why a quote? Don’t most contractors provide estimates? Duke Sewer has done so many sewer replacements that we are confident in giving quotes. A quote is a solid price. We don’t charge more than our quote*. Estimates allow for extra billing. With a quote, you know exactly how much it will cost, and we stick to that price. *There are circumstances where additional problems are discovered after beginning work. These are problems that could not have been foreseen. EX: Leaky water line, sewer covered in concrete, or footing was poured over the sewer. In these circumstances, additional costs may be incurred by the home owner. “Duke Sewer was AWESOME!! I used them when my sewer line was plugged. They came quickly, and cost less than I expected." Can always count on one of the friendly fellas to show up fast. They always clean up after. And never over charge. The tech I had (Tony) was fantastic. He was very punctual, answered all the off the cuff questions I had. Very thorough and polite. I can't recommend enough to others! We had Adam come and clean out our sewer lines and he was fantastic and went over and above for the cleaning. Thanks so much! Adam did a great job diagnosing a problem we had, turned out not to be the sewer but an appliance issue. He was courteous and very knowledgeable! Matt and the boys always provide great customer service at a fair price. I use and refer them very often and they always knock it out of the park! Very happy with the service we received from this company. They came out promptly, gave us a quote which was very reasonable and were not phased by the trees on the property and were able to work around them. They did the job when they said they would and a year later we are still happy with the work they did. We highly recommend them. I should mention that this was to replace our sewer line from the house to the street which is a major job. Thank you! Quality work preformed by knowledgeable people they made sure they did a thorough cleaning of the root system that made it's way into out line. Was very impressed with the service I received. Next time I need a cleanout duke will be getting by business again. Phoned multiple businesses on a Friday at 5pm and the best rates and quickest was Duke's. Service was fast friendly and the best rates in town. Dukes hands down is tops in Regina!! Hubby was out of town and I had an issue with our kitchen sink. My friend and I tried to check the pipes and even used a snake only to realized that the clog was way further at the bottom. I called their office at 11:10pm (10 mins past their office hrs) and so thankful they answered and booked me for the following day. Logan came in late but i was notified ahead of time. He did his job professionally and answered all my questions. Im impressed on how he cleaned up afterwards. Im so glad they were recommended to us. The fee is reasonable and friends said it was cheaper. These guys saved us lots of damage by coming out the same day to clear a blockage on one of our sewer pipes to our septic tank. It was a reasonably quick fix and he inspected the pipes and let us know about the condition. Was very happy with the service and now we know who to call when we have issues. Thanks guys !! Thank you so much for ur service. You went above and beyond. I had Roto-Rooter service our sewer line and felt like I got no help and had to pay almost double what they quoted because they couldn’t trouble shoot. Dukes stepped up and made it right. I am so greatful!! We had a blockage in our sewer line yesterday. I phoned Dukes Sewer Service. They came in less than 2 hrs. The service tech Tony was very personable, thorough and knowledgeable. He turned potentially bad situation into a tolerable experience. I highly recommend Dukes Sewer Service. We used Duke Sewer Service Inc. for the installation of a mainline backwater valve. The team was extremely professional, efficient, knowledgeable and trustworthy. We would use them for work again in the future and recommend them to anyone else who requires similar services. Fantastic service. They always show up when they say they say they will. Prices are reasonable and they leave the house exactly as they find it if not better. Very respectful. I have used them for customers of mine and my own home. Highly recommend! Called Duke to clean out our sewer line on the weekend. They came within 2 hours, very friendly knowledgeable tech had our drain cleaned in no time. Left the work area very tidy when he was done. Will definitely use them again if we have any more problems. Highly recommend! What Can I say Matt (I believe was his name) was great he came very promptly when called because it is never a good day when you need a plumber. He was quick and a had great bed side manner (if you will). The bill was more than fair and Duje is a number on my fridge for the next time. Thanks Matt and Team. Impeccable service. Prompt, competant, thorough and courteous employees. The owner is honest, trustworthy and reasonable in his policies, which makes for a reliable company that I never hesitate to call. AMAZING SERVICE!!!!!! Had them come out and clean my grandparents’ sewer and kitchen sink line. They were very quick and respectful of the house and flooring. When he was done, there was no mess left behind. I would recommend these guys to everyone! Thanks Duke! Great service, always on time, dependable. Have had them cabling tree roots from my sewer line every fall and also setting up sump pumps in my basement and I am very happy with the service and the communication. I have an issue of tree roots in the sewer line. Called around to a lot of places the first time it happened and everyone was either going to charge an arm and a leg to come out in short notice or they were booking into next month or both A friend recommend Duke and I'm glad she did. They came out that night and charged $150 for the pump out. Have had them back because it's an ongoing issue and they always come right away (I think they charge more for weekends and holidays). The last time I was super impressed. The guy did 2 separate bills for me because we had one issue caused by a city tree and one caused by one on the property. He discounted the bill that I paid and even checked and changed out the furnace filter. So happy with Duke every time. Don't even bother calling anywhere else if you are looking for a plumbing service. Our sewer backed up after supper tonight. I called Duke Sewer Service and they were here in under 10 min. 30 minutes later we were unclogged and they were on their way. Wonderful friendly cheerful staff who also did a great job of leaving the job site clean! These guys know what they are doing. I'd recommend them to anyone anytime. Tonight our sewer backed up, and thank goodness Adam was able to come! As first time home owners - we really have no idea about half of this kind of stuff, and Adam answered all of our questions without hesitation. 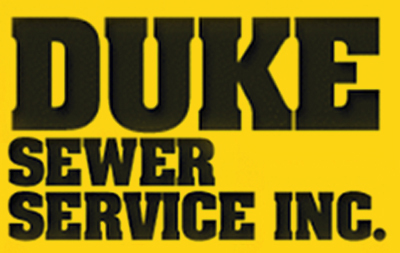 The service was great & efficient, we will certainly be calling Duke Sewer Service next time we have an issue! I just had Tony & Logan at my house today sewer was backing up. These guys were thee utmost professionals. Respectful, prompt, could not say enough about there incredible work, and great price.. I will never use anyone else again!! Great experience with my Sewer line replacement! They were professional, got the job done quick and did an amazing job. As well they were on time and stayed until the job was done! I would highly recommend this company! Thanks Dukes for a great job! I had Adam out today to thaw my water line today. Awesome, prompt, courteous service. Had my lines running within a half hour from start to finish . Will only deal with Duke from this point forward. This is the 3rd time I use Duke's for various issues and have always had fantastic service . Adam has been out to our house now and he has been AMAZING. This whole time we thought it was our drain, when really it was the washing machine the whole entire time. Every time he came out he was VERY professional. VERY knowledgeable and VERY patient !!! I was very upset after flooding and clean up 50 hours straight, this last time he came and even though he knew what the issue was, for our peace of mind he went through and checked it all all over again, and he helped us diagnose the issue now we can actually fix the problem he even stood here and gave us peace of mind by making sure we knew what the problem was and we were satisfied. Thank you soooo much Adam and Dukes ! :) you guys are the best ..
We had Duke come out to clean a blocked drain. Super-fast service, affordable, and Service Tech Tony was great! He explained what he was doing, chatted with me the entire time, and left everything clean and tidy. I highly recommend Duke!